Venezuela's cushion of cash fell to its lowest point in over 20 years amid the nation's political turmoil. Foreign reserves -- funds meant to weather tough economic times -- fell below $10 billion for the first time since 1995, according to central bank data published Sunday. Venezuela, which has more oil than any other country in the world, was once the richest country in Latin America. The bad financial news came on the same day as a major symbolic referendum vote called for by the country's main opposition party. President Nicolas Maduro hopes to rewrite the constitution and replace the opposition-led National Assembly with a "constituent assembly" that would act as a rubber stamp for his agenda and he's called for an official vote on July 30. But on Sunday, more than 7 million Venezuelans voted in an unofficial, non-binding referendum, and 98% chose to oppose Maduro's plan. Still, Maduro is unlikely to recognize the symbolic voting results, and many believe he'll go forward with his own referendum vote and gain the power to replace the National Assembly in two weeks. Meanwhile, Maduro's government keeps running out of money as debt payments loom. Venezuela owes nearly $5 billion for the rest of this year. The country's ability to pay its debt "is looking increasingly fragile," says Edward Glossop, Latin America economist at Capital Economics, a research firm. 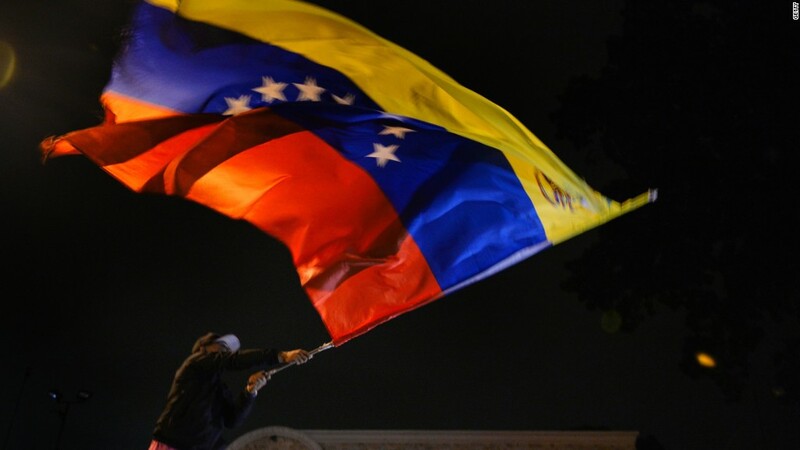 Fears are rising that Venezuela will default this year. Some economists caution, however, that Maduro's regime could get by in the short term if it lets reserves fall further. That scary financial backdrop is a major reason why Venezuela suffers from extreme shortages of food, medicine and other essentials. The government must choose between buying imported goods or paying its bondholders. For now, it's choosing investors. What's more: Most of Venezuela's foreign reserves aren't even in hard cash. They're mostly in gold bars, which change in value as the price of gold wavers in global markets. 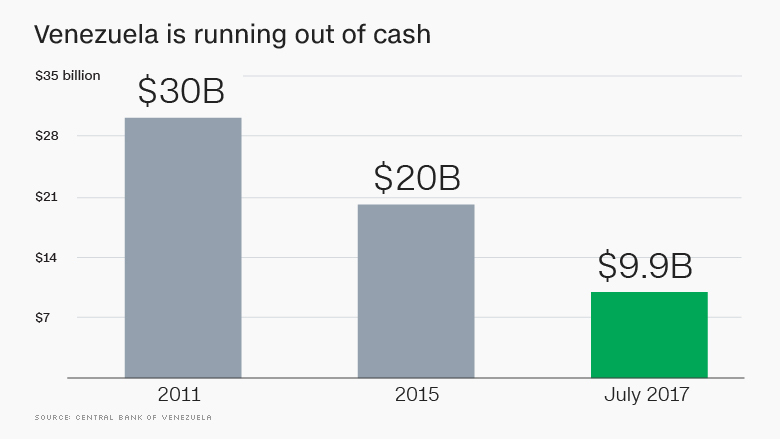 Even compared to its neighbors, Venezuela's cash pile is worrisome. Brazil just ended its longest recession on record. It has $362 billion in the bank. Argentina also just exited a recession, and it has $48 billion, according to IMF and central bank data.